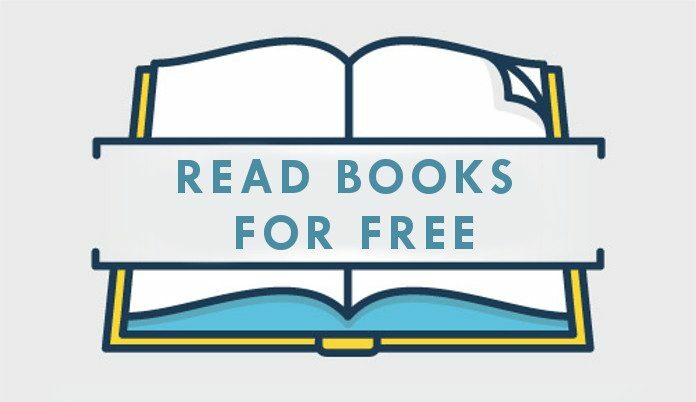 Free Books Online: 20 Websites with 50+ Million Books Free to Read! 20 Websites stacked with 50+ Million Books to Read for Free! People have wish-list and we book lovers have TBR list flooded with the books which are either too costly or on the edge of non-existence. But let’s bow down for the technology. Now we can read free books online and cling to our reading passion. There are many websites which provide free online books for readers. Books like classics, romance, thriller, fables, and many more books in all genres and for everyone. 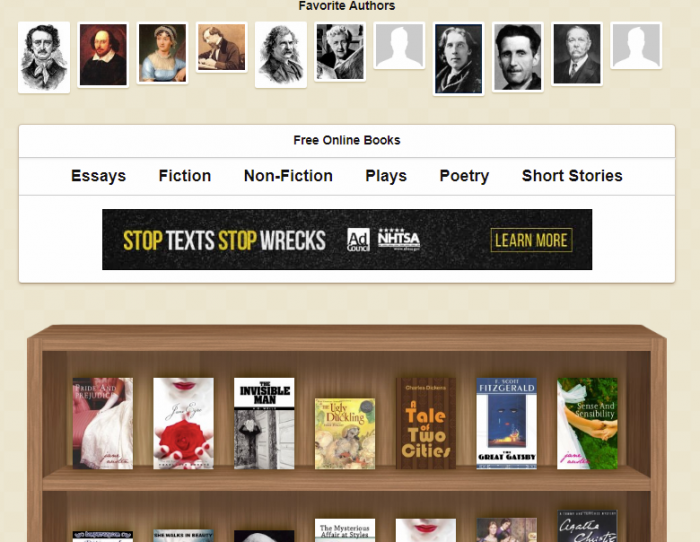 Now let’s hop onto the list of websites with a myriad of free online books. Here is the list of websites which provide free books to the users to read online. I also mentioned the key features of all the website down below. 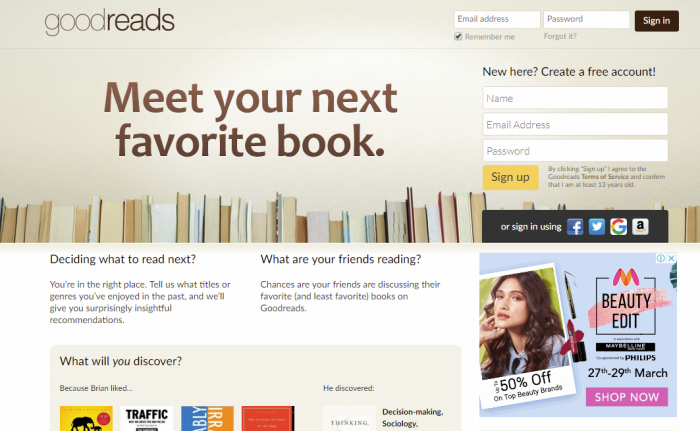 Goodreads is currently on the top of the lists for the free online books. The website has many free books for its visitors in various genres. It also allows people to review book and keep track of the books they have read and the ones they want to read. 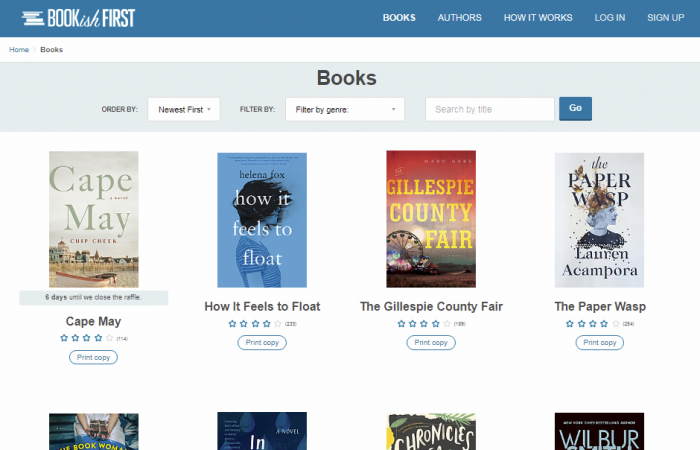 Its simple user interface is helping it is gaining popularity among the book lovers. Key Feature – It helps you in setting your reading goal for a year and connects you with your bibliophile friends. It also provides preview pages of newly released books. Manybooks is an online platform which gives you a plethora of free ebooks to read. The bestseller books available on this website are either free or available on a 50% discount. Every day there will be new book’s suggestions depending on your searches and the exciting deals for the book lovers. Key Feature – Readers will be amazed to see the wide range of categories and genres with over 30,000 books to read online. 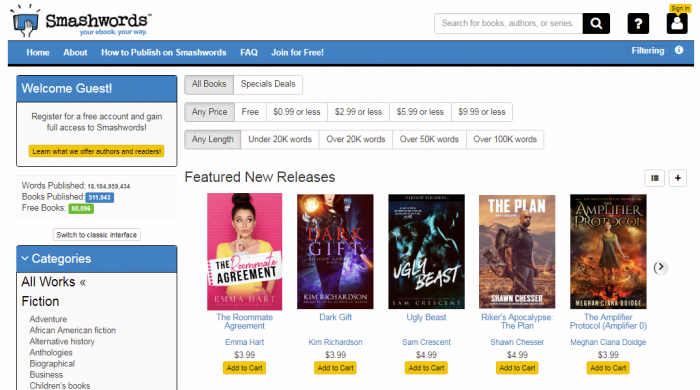 With over 80k ebooks on its website, Smashwords is definitely becoming readers’ go-to website for free online books. It also provides bestselling books at a pocket-friendly cost. This website also feeds its users with the free smart author podcasts. 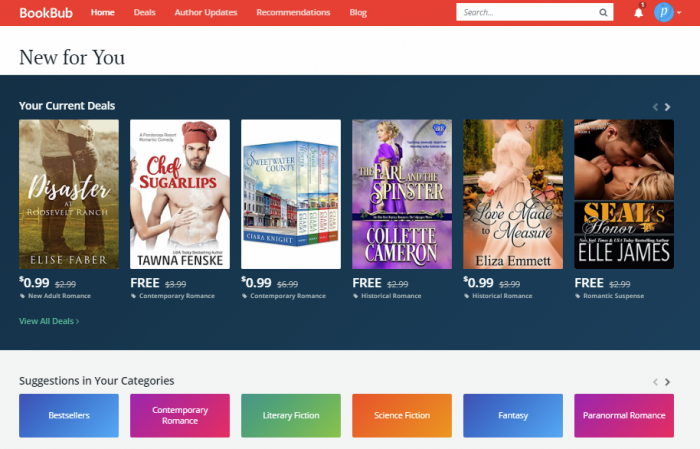 Key Feature – Smashwords allows its users to publish their own ebooks on the website. Total 510,909 have already been published and it distributes to the major publishing houses across the globe. 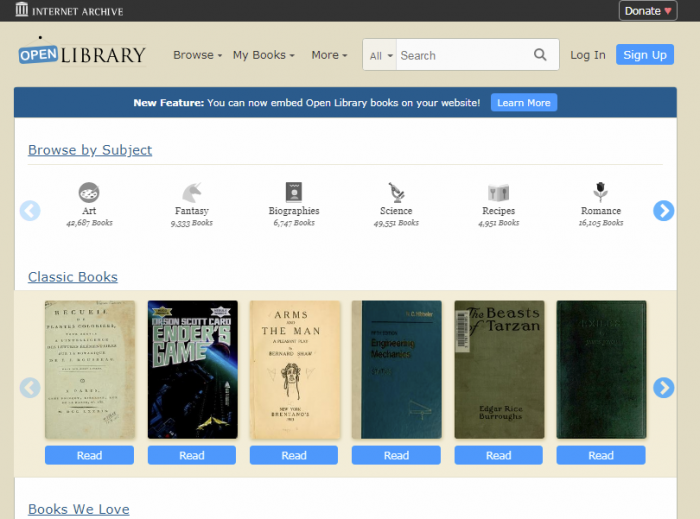 Internet Archive is like a global free online library. It has everything and anything related to the genres of books. Sci-fi, classics, fantasies, horror, arts, music, recipes, plays, histories, textbooks and many more categories which includes thousands of good books to read online. You can track your books and enlist the ones you want to read. Key Feature – This free website has an option of donating money for the funding of the website. It is a non-profit website which serves to the world with the free books. Project Gutenberg is a books website which gives you access to over 58,000 free online books. You can either read online or download them. You will find the world’s great literature here, with a focus on older works for which U.S. copyright has expired. Key Feature – You can volunteer in proofreading and formatting, digitizing, and recording audio books. This little step of yours can give the world better books to read online. Bookboon is currently the world’s largest online publishing company with 50,000 free online books and their pdf on the site. It was established in the year 2005 and since then it is serving students of all fields with its free online books. Key Feature – This website allows you to download textbooks of subjects like Marketing and Sales, Personal Development, Sciences, IT & Programming, Law and many more. 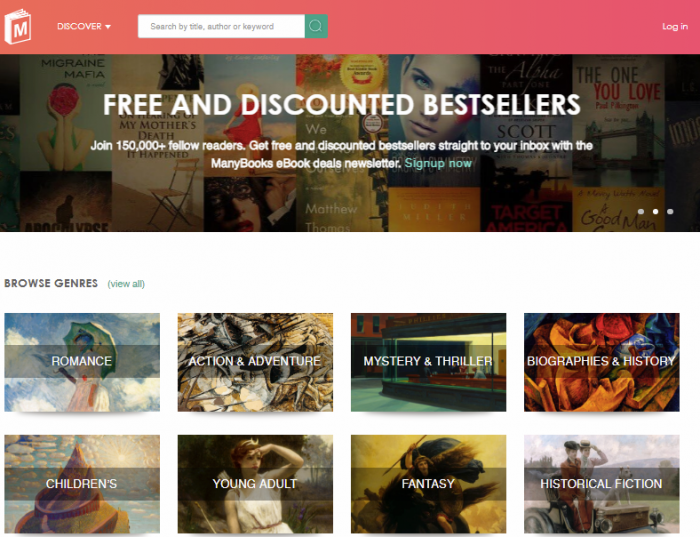 BookishFirst is an easy-to-use website which offers you free online books but with a twist. Once you have logged in with your email id, every Monday you will get a notification of a new book. All you need to do is read an excerpt and write your thoughts about it and win a book. Sounds Interesting? Indeed it is. Key Feature – You can also write book reviews and earn points and the collected points can get you a free book. You can also win a free pre-publication book from your rewarded points. 24Symbols is a digital platform with a tagline ‘Reading Without Limits’. It has thousands of free online books to read and to listen also. You can find a book of any genre and textbooks too. The best part about this website is that it makes reading easy as it can be accessed by any platform. Key Feature – 24Symbols has its own personalized magazine for digital readers to cease their cravings of reading. 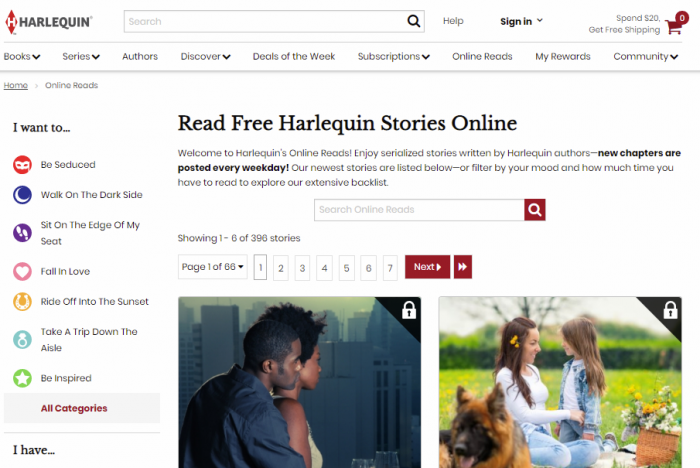 Harlequin is a division of Harpers & Collins, publishing 110 books per month. It has its own stories online. You get to read a new chapter posted every weekday. The is website gives you all the pleasures of reading and writing stories online. Key Feature – The most fascinating part of the website is that it lets you filter books according to your mood or the time you have to read free ebook. 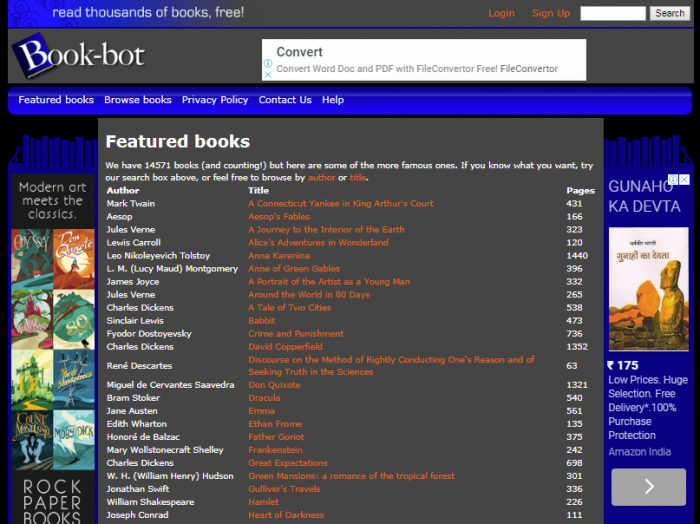 If you are looking for a site which provides all the classics on one page, then Book-bot is the best website for you. The user interface of the website is easy to use and allows you to read free books online in almost all genres. Key Features – It has all the historical romance novels online from the writers like Charles Dickens, Jane Austen, Jane Eyre, Charlotte Bronte and many more. 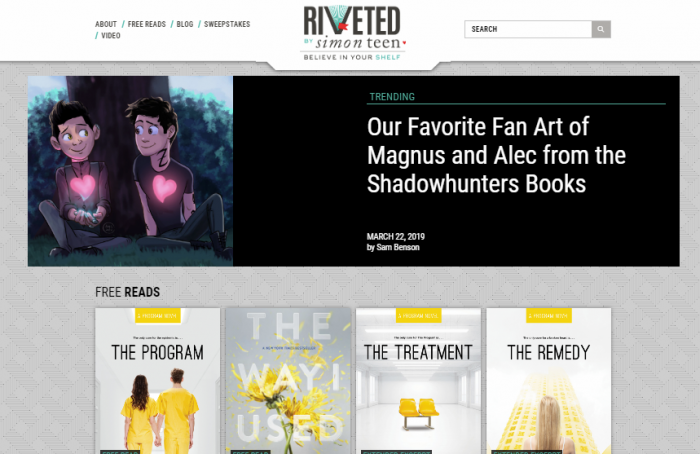 Riveted by Simon Teens is a platform for free young adults books online. You can discover new YA trending books and authors. You can just sign up and enjoy your free reads of various genres. Key Feature – Riveted’s interesting blogs and videos make it more interactive with the users. 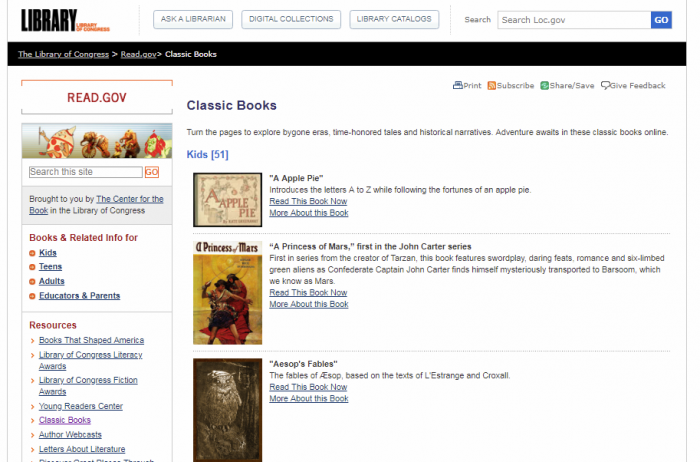 Library of Congress is a perfect website to dig out the content for the research papers. It also offers a wide range of free online books for kids and other genres of books for adults, educators and parents are also available. Key Feature – The best feature of this website is that it allows you to ask a librarian a question related to the subject. BookRix is a platform for avid readers who like to read the writings of fresh writers. It is a self-publishing company of ebooks. Users can read, write and connect with fellow readers and authors. You can read fresh new full length online books on this website. Key Feature – You can discover many new writings and buy bestselling books across the globe at a very low cost. With 10 optional languages, you can find any textbook on Wikibooks. It provides you with all the subjects’ textbook online free. You can read and edit the free online books as per the knowledge. Key Feature – Ranging from the children’s book to the recipes and textbooks of different subjects you can find all kinds of free online books on this website. Read Print is a platform where books and people meet. You can discover new books and get recommendations for your next reads. Also, you can discuss the books and join book clubs. There is no hidden cost, you read good free online books and talk about it with people. Key Feature – This website also allows you to access poetries and you can browse the book’s quotes also. 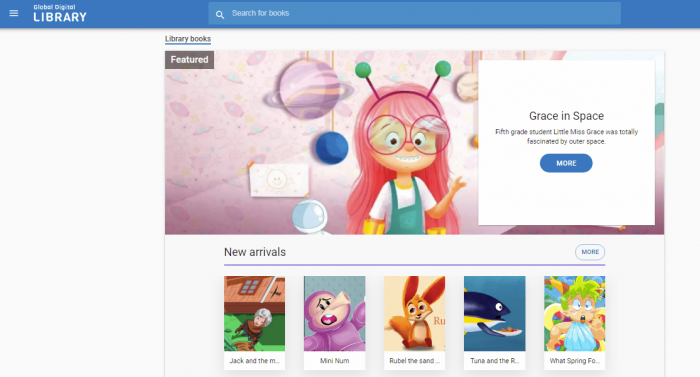 Global Digital Library is a one-stop destination for free online books for children. it has numerous numbers of books for different age groups and genres. Now, reading to your child will become a cake walk. Key Feature – Not only stories but you can also get textbooks for different subjects. Go and log in to this amazing website. OverDrive is a website which connects you with the public library or school nearby you. So that you can enjoy reading free online books and get access to their pdf and audio books. It suggests you the trending and bestselling books to borrow from your nearest library nearby. Key Feature- This website has its own app named Libby which makes reading books easier. BookBub might not offer you free online books but it definitely offers you the best deal to buy a book. From the bestsellers to the classics all books are available on this website with daily exciting offers and deals. You can save a lot of money by buying these ebooks. Key Feature – Its blogs and news keep the readers up to date with the release of new books and other events. 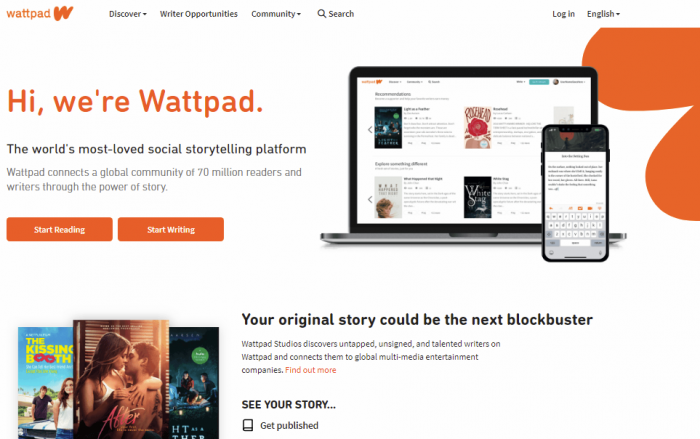 Wattpad is a digital community which allows the readers and writers to generate new content. Readers can enjoy reading the stories written by fresh writers. It is now a community of 70 million readers and writers who are connected through the power of storytelling. 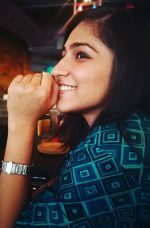 Key Feature – If you are a great storyteller then you can get an opportunity to produce your story as a TV serial or a movie. Scribd is a digital library which offers you with the books, audiobooks, magazines, and articles for online readers. It has more than one million book titles. It has also an app for Itunes as well as Android to make it more user-friendly. Key Feature – This website provides you with 60 million documents related to different subjects. I hope I have provided enough resources to fully quenched your hunger towards reading books online. Though my very last suggestion to all the readers who are looking for free books online would be to follow individual author’s pages to get the cheap deals and sometimes the free copy of a new release. Also, I am not putting a full stop to this list as I will be updating it very often with the websites and places suggested by you in the comments.